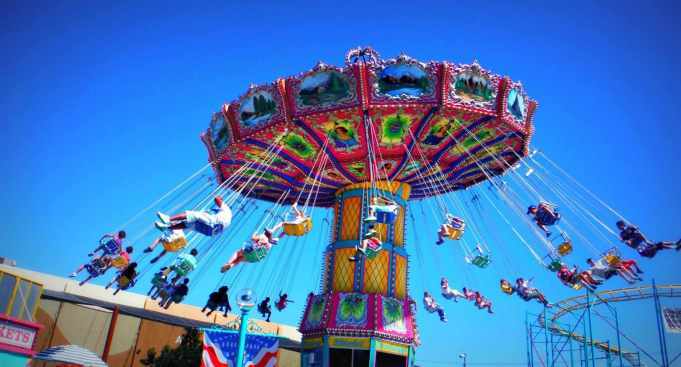 Alameda County Fair's "Spirit of Summer"
Come and celebrate the “Spirit of Summer” at Alameda County Fair with 4th of July Fireworks, the Big O Tires Concert Series and Action Sports Arena shows, June 15 through July 4. Be sure to check out this year’s action sports shows featuring Monster Trucks, Demolition Derby and Extreme Rodeo. A different show will be featured each weekend in addition to Extreme Freestyle Motocross shows daily. The Big O Tires Concert Series proudly presents Kool & The Gang, Thursday, June 30, along with other great shows nightly: Tony! Toni! Tone!, Eric Burdon & the Animals, Joe Nichols, Tower of Power, Great White, Smash Mouth, LeAnn Rimes, The Guess Who, Crystal Gayle and more. All attractions are FREE with admission. Fair is open 11 a.m. to 11 p.m. every day, Tuesday through Sunday each week, plus Monday the 4th of July.